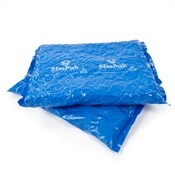 Non-slip polyethylene film allows for ability to be tightly wrapped around the contours of products, regardless of shape and size! 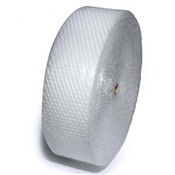 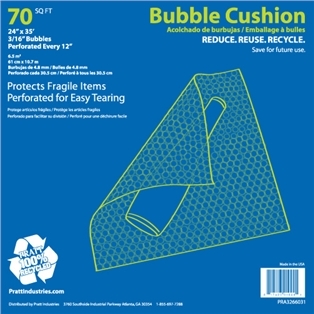 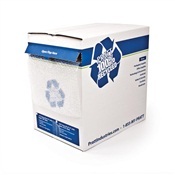 This bubble protective wrap is perforated every 12 inches and is 3/16" thick x 30' long roll tears easily and ready to use. 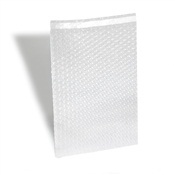 If you are packing or storing this foam roll is a great solution to help protect your goods during the hauling or storing of valuables. 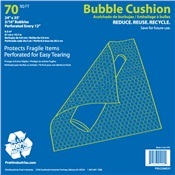 Perfect for electronics, phones, dishes, and other valuables as it can easily be taped down on the selected items. 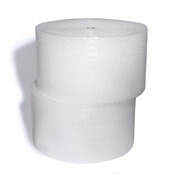 While perforated every 12 inches the roll can be cut any length to help protect those large and oversized valuables.